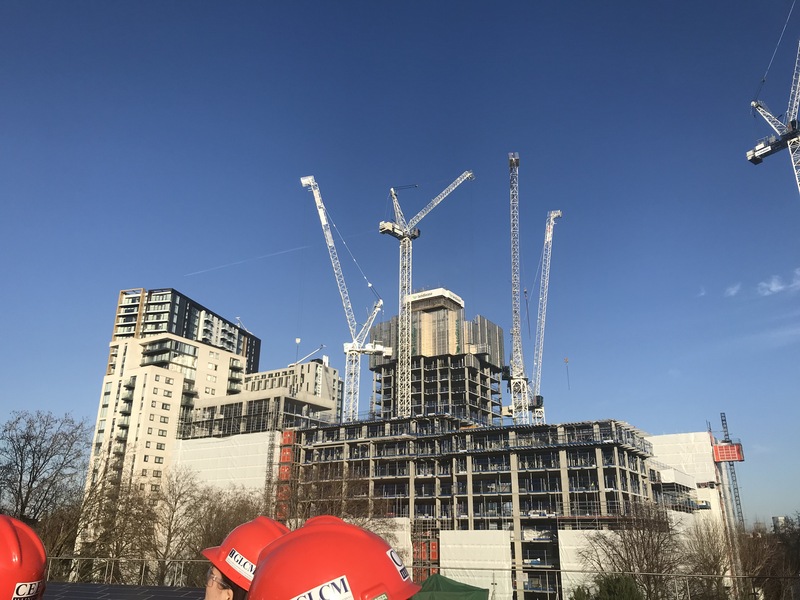 On Tuesday morning, the Global Leaders group headed into London’s Zone 1 to see Elephant Park, a massive development in the Elephant and Castle area. Grace met us at the security entrance, and brought us to the conference room where we were greeted by Iain Smith, the Communications Manager, as well as Bill Cooney, the Safety Manager. Iain and Bill presented on the project, providing an overview of the project statistics and site information, as well as safety and community engagement goals. 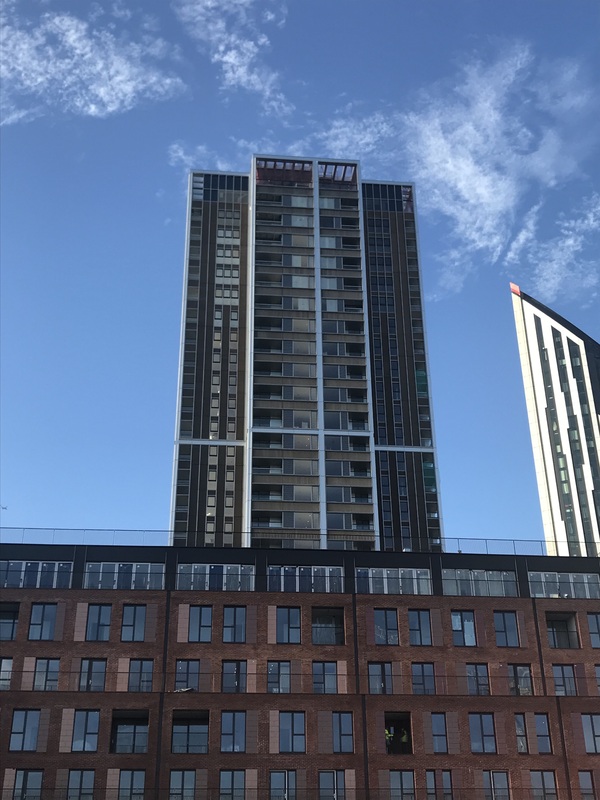 Both the Lendlease construction and development teams are working in conjunction with the Southwark Council on this approximately £3B development, with the goal to deliver the “new green heart” to London. 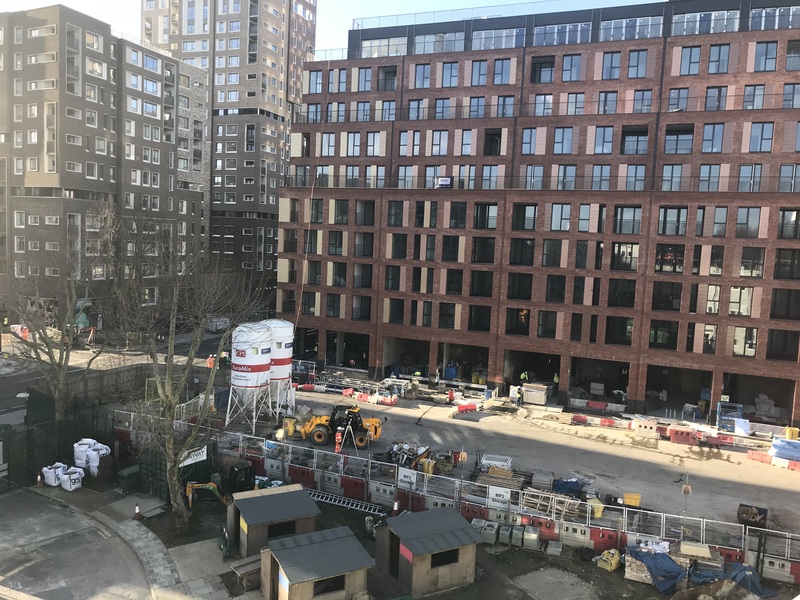 The area is very well-connected to the rest of London, and Elephant Park hopes to capitalize on the location to revamp it and make it more a part of urban life. With such a large development in the works with an expected completion date in 2025, positive community engagement is vital to keeping Elephant Park on track and on good terms with the citizens. Elephant Park encourages people into the master plan via shops, the central park, and/or the completed homes. Since 2013, over 2,300 homes have been completed or are in construction. Lendlease is still trying to maintain their presence within the community, even though some of the completed homes are “off of their plate.” Lendlease has established The Hub, which is a space to interact with the community, answer questions, discuss plans, and to be a general resource for the locals. So far, 6,000 new jobs have been established; including 5,000 in construction and 1,000 in the completed development. At least 7 people from each ward in the borough are or have been employed. Lendlease also established the Southwark Construction Skills Centre, and conducts a lot of work with the local school systems. After the informative presentation, the group was split into two smaller groups, and took turns in the VRoom (Virtual Reality Room) with Tom Flannery, a Senior BIM Manager. The VRoom is a 360-degree completely immersive tool utilized by Lendlease for BIM/clash-detection modeling. The room is a circle, with a screen around the edge, and everyone sits in the middle. First, we saw a walk-through of the overall development model. It was very disorienting once the model started to move, taking us through all the various areas and parts of the project. After, we looked at a specific Elephant Park building’s model and were able to analyze the different systems within. It was a very unique spin on virtual reality which most, if not all, of the group had never seen before! 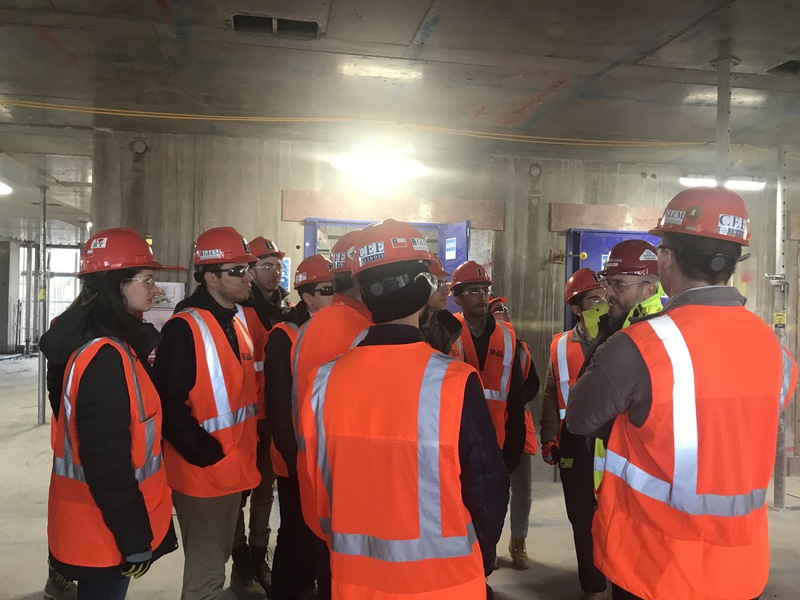 After taking turns to witness the VRoom, the whole group went on a site tour with Bill and two Assistant Construction Managers, Jonty Bier-Allen and Natsai Chimbo. We were able to see a few different aspects of construction on the Block A building that is part of the H5 plot. We learned about some coordination details, such as utilizing bathroom pods, approximately 8 per floor, assembled off-site and installed on-site to help expedite the process. We also chatted about the differences between the construction industry in the U.S. versus in the U.K. and had an informative conversation about a variety of factors, such as cranes (pictured above) and project roles. After the site visit, Lendlease provided lunch consisting of a variety of sandwiches and fruit. 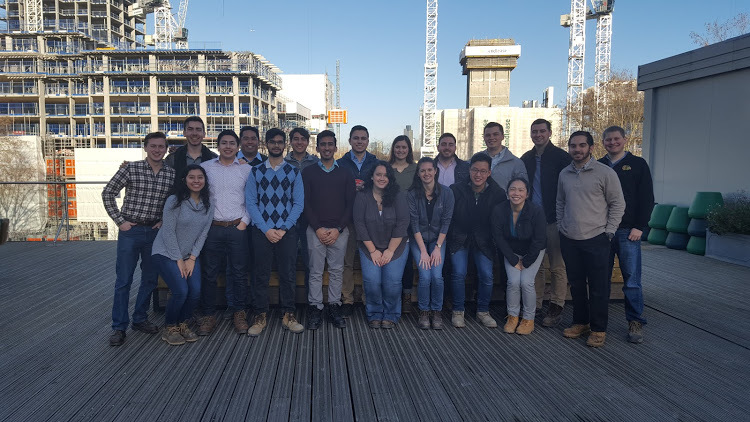 The GLCM program would like to thank the Lendlease team for being such generous and gracious hosts for our site visit!